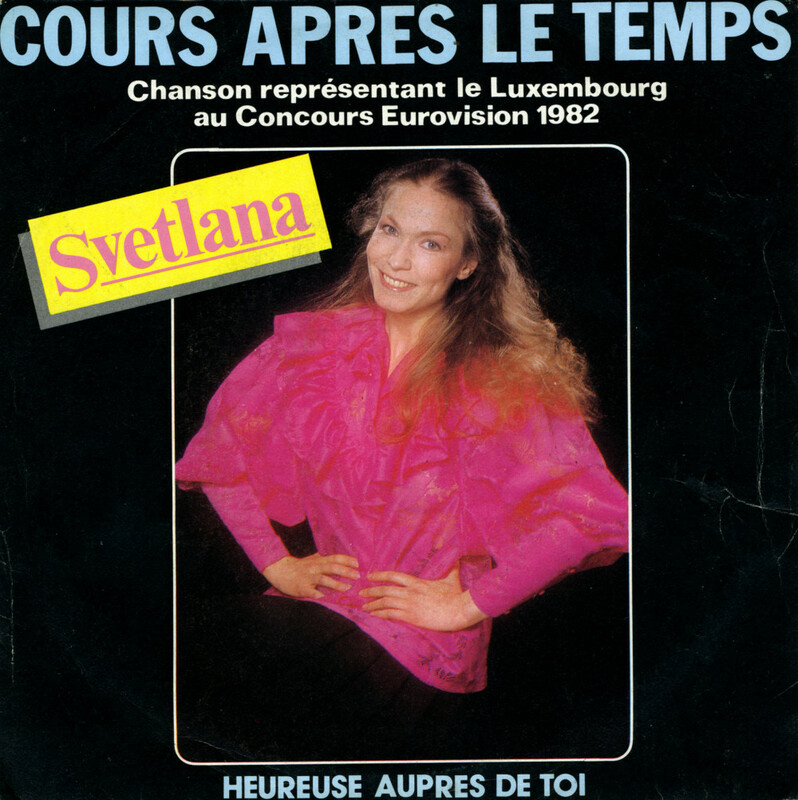 'Cours après le temps' ('Run after time') was the Luxembourgish entry in the 1982 Eurovision Song Contest, performed in French by Svetlana. The song deals with the focus of the modern world - with Svetlana suggesting that it is all about running after 'time', 'money' and 'glory', when that is ultimately going to cause problems. As she explains, 'If I have to run all the time/What would I do with the money?' As the song concludes, she explains that she will simply love - and if this is madness, she wants to meet other mad people. The song did pretty good during the night, ending up in 6th place in a field of 18 competitors.